This week we are going to dive deep into one of the most common and toughest transformation danger zones out there: Emotional Eating. 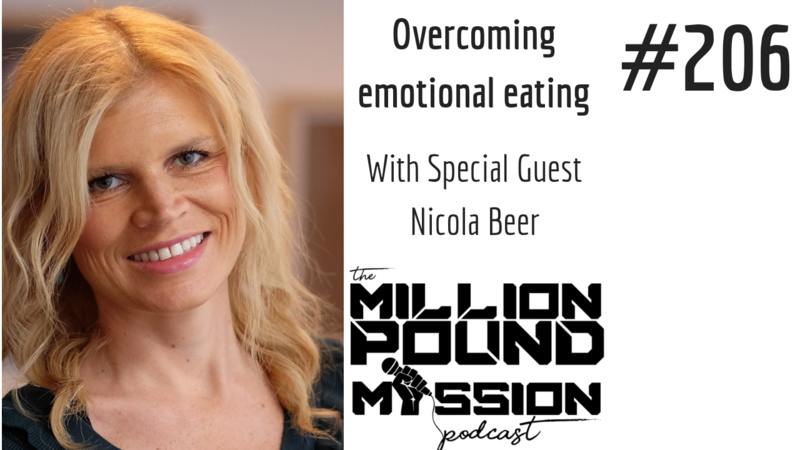 I'm tagging in my friend Nicola Beer to help us learn more about emotional eating and how we can overcome it! Nicola is a world-renowned expert in relationship psychology and transformation. She has been able to help thousands of men and women across the globe to live love filled and vibrant lives through healing relationships and childhood trauma, as well as their relationship to food. In addition to co-authoring 4 international best-seller books, she has also been featured on ABC, CBS, NBC, Fox News Network, Huffington Post and Wall Street Select. Her own difficult journey around her relationship with food. How to determine if we are an emotional eater and how that might be different than having a food addiction. Important steps to take to heal the root causes of our emotional eating. How we can help support our children in developing a healthy relationship with food. I want to give you a FREE copy of my #1 Transformation Tool: The Transformation Battle Plan Workbook! Most people don't need a "better" diet or a "better" fitness routine.....they need a better game plan! It's time to reclaim control over your health by downloading your FREE copy of my Transformation Battle Plan Workbook and start putting together your 28 Day game plan for transformation success.